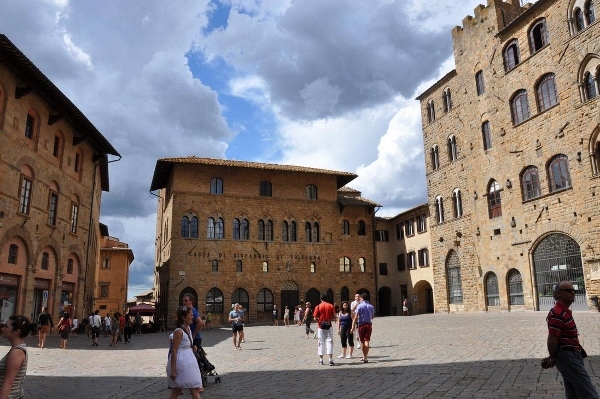 Marry in the medieval city of Volterra, a city that has been the site of civilizations for the past 3,000 years. It is built of the local panchina stone, a grey local stone which throughout the years has taken on a gold tone. 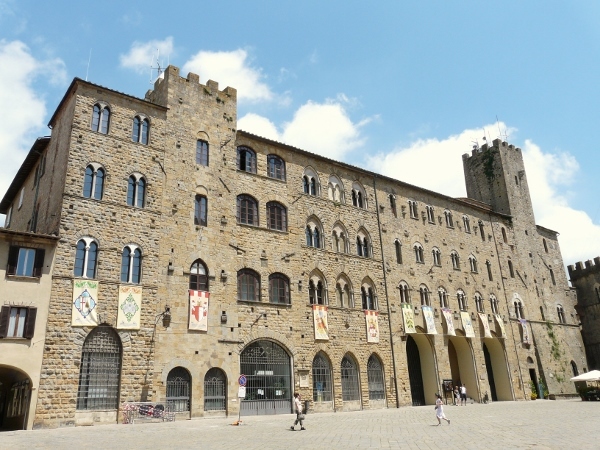 Medieval Palaces surround the elegant Piazza dei Priori, and one of the most important Palaces is the Volterra wedding hall, the Palazzo dei Priori which dates from 1208. 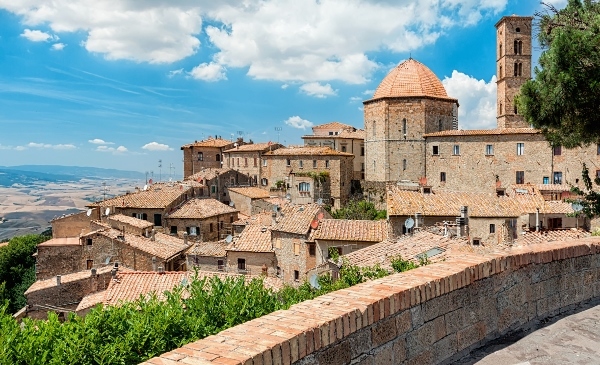 It is the oldest government building in Tuscany and if you climb to the top you will enjoy a breathtaking panoramic view that goes as far as the coast if the day is clear. A wedding in the Volterra wedding hall will immerse you into centuries past and the rich Tuscan heritage of art and history. 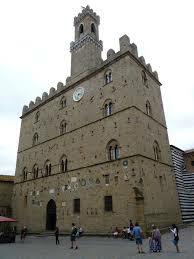 Behind the Town Hall lies an elegant Romanesque church or Duomo that was consecrated in the early 1100’s. 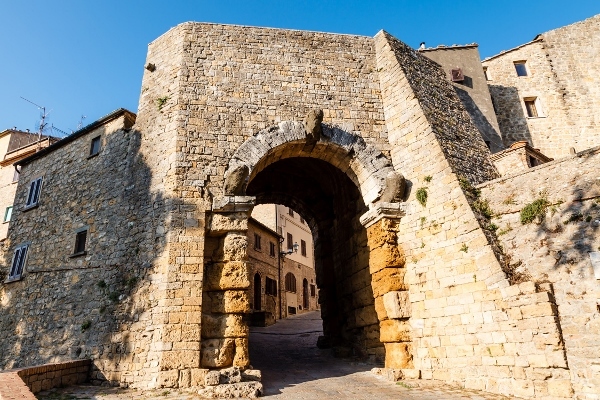 Etruscan antiquities can be viewed among which an original Etruscan gate leading into the city – another panoramic spot. Visit the Etruscan museum and other precious works of art in the Pinacoteca or Art Gallery. Couples choosing to celebrate their marriage in Volterra will find themselves in a fairy-tale setting that is authentically Tuscan and far away from tourists and crowds.